Fire Support Base Hampton, Go Dau Ha, South Vietnam. 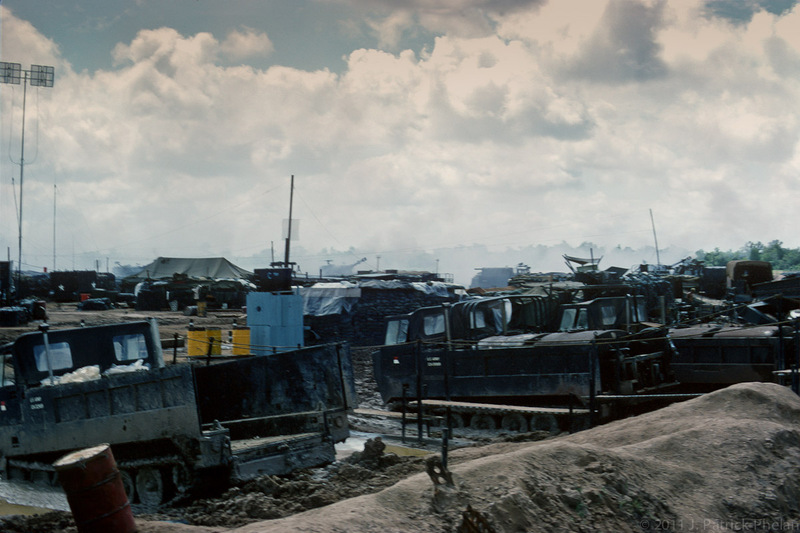 M-548 Cargo Carriers sit in mud during the rainy season along the perimeter of Fire Support Base Hampton on the outskirts of Go Dau Ha, South Vietnam. The 3rd of the 13th Field Artillary M109 self-propelled 155 mm howitzers are seen in the background firing a support mission. 1969.